It’s the next crest of the Souris River that we are watching and preparing for now. Water volumes arriving from North Dakota are higher than expected making existing dikes inadequate to the coming water levels. 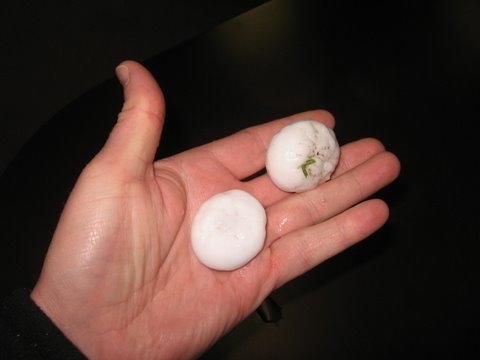 The new crests could start arriving in Manitoba by the end of the week, sooner than anticipated. 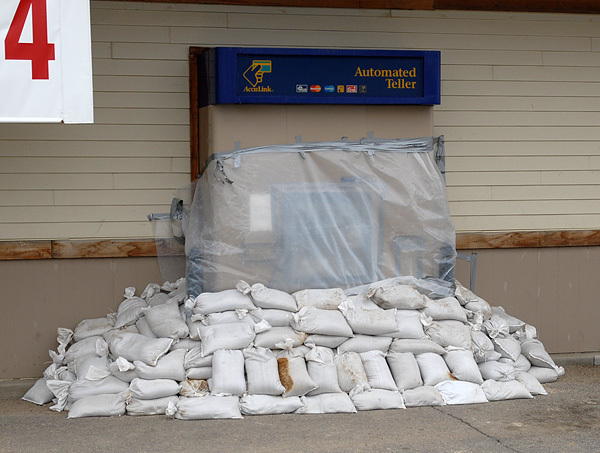 Melita, already virtually under siege by the Souris River, is calling for more volunteers to fill sandbags and do other duties and they are paying $15 an hour. If you can help out call the Melita town office at 522-3413. Mayor Bob Walker seems pretty confident the dike system will hold but he says two businesses near the dikes have been evacuated. So far no homes in Melita have been evacuated but that could change quickly. One section of the town is on alert. 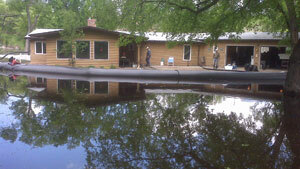 A little further downstream Wawanesa begins to evacuate homes. Evacuation notices have been issued for 13 homes. Residents will have to be out by 6 pm Tuesday. Wawanesa mayor Bruce Gullet says it’s a precaution as is evacuating Wawanesa’s personal care home for the second time. He says the entire dike system is being rebuilt to make it stronger and higher. Volunteers are needed badly in Wawanesa as well. The town of Souris has issued approximately 30 more mandatory evacuation notices for homes. Residents, mostly right along the Souris River and Plum Creek, must be out today. Sixty-four homes in Souris have already been evacuated. 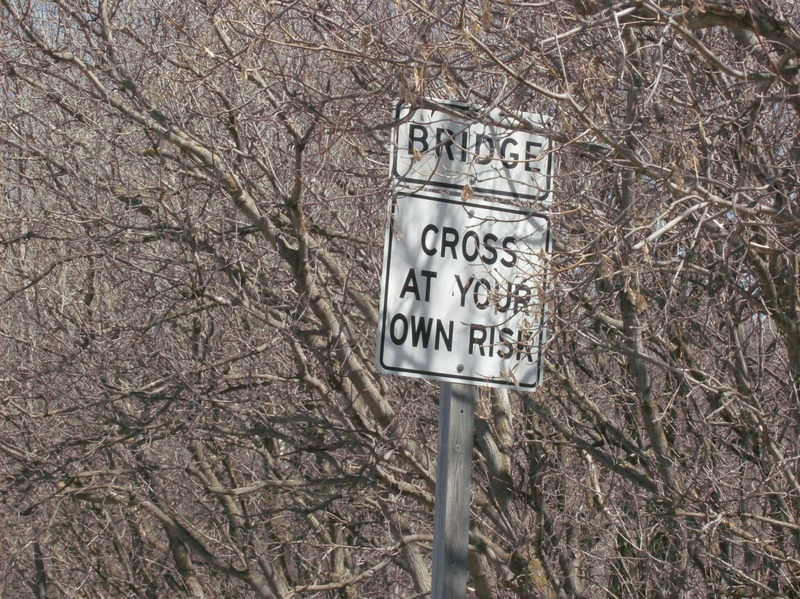 Famous for having the longest swinging bridge, which spans the Souris, crews have determined that saving the bridge is too risky. 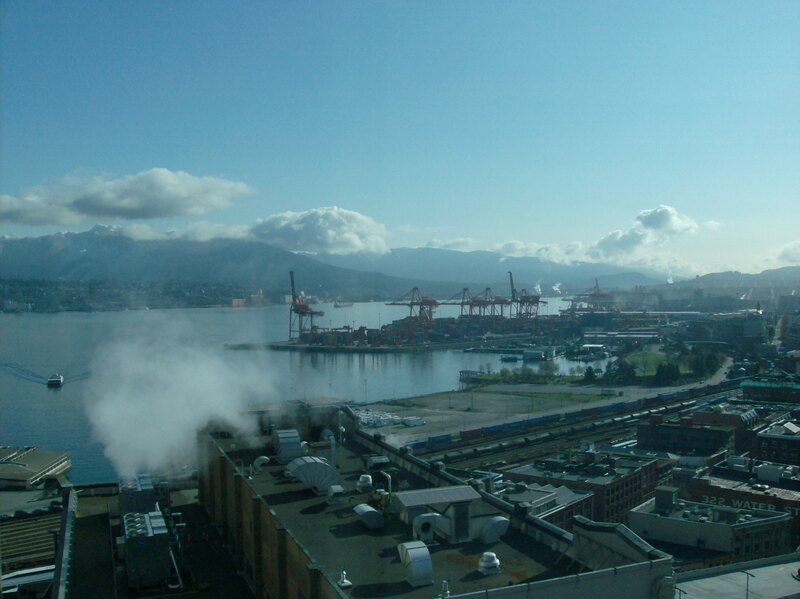 With the strong current, the landmark may be swept away. The town’s dike system is being raised and reinforced. Souris emergency coordinator Sven Kreusch says they have requested military help but received no response. If these small towns are having to pay for “volunteers” to help protect them, isn’t it a no-brainer to get the troops back to support these flood-weary people. Various protocols have to be satisfied for this to happen but, while the bureaucracy grinds slowly, the Souris River rises fast and travels furiously. 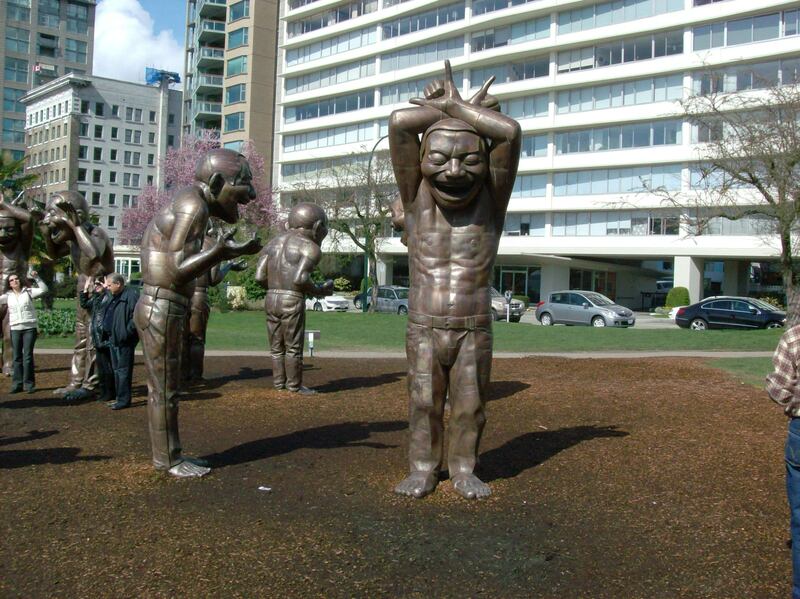 While the province provides engineers to determine required dike work, they have few bodies to contribute to the actual building. I would hate to think Tsar Selinger is holding back on inviting the military to assist because they would steal his thunder, such as it is. Selinger is desperate. He needs to seem competent at something/anything but comes off looking cynical, manipulative and unkind again. I don’t watch television but my friend Terry said the CBS Evening News translated the French word souris, meaning mouse, into English, changing the name of the river from Souris to the Mouse River. Pronouncing a word as complex as souris (sir’ iss) would be a major challenge for American talking heads and editors. I took this picture of the Portage Diversion at Trans Canada Highway crossing yesterday. It’s still almost filled to the brim but with a little freeboard to accommodate the Souris now barreling toward it. I trawl select comment pages for accounts and background on the flood. Here are three comments from a CBC report about how much water the Portage Diversion added to Lake Manitoba, which continues to flood. 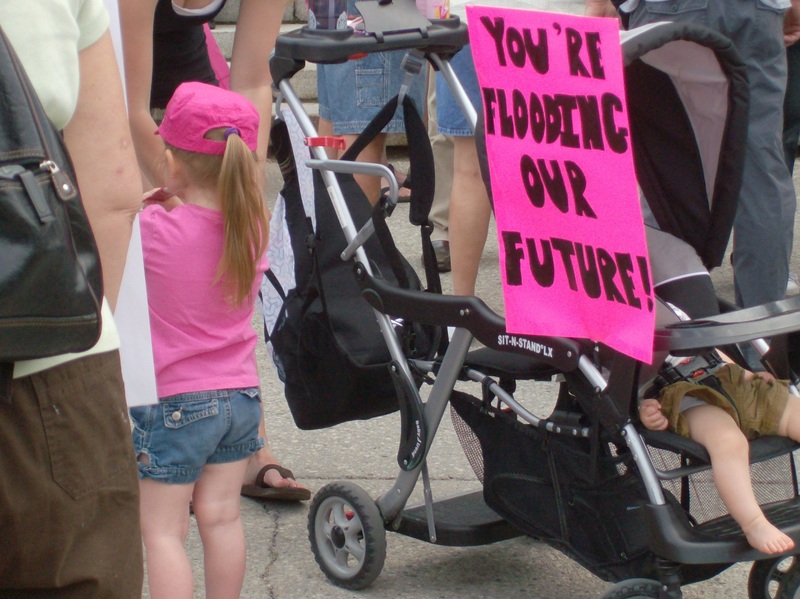 I have no idea who made these statements, make no claim as to their veracity and present them as potential examples of how far ahead of the government Manitobans are and how deep the harm from man-made flooding has gone. Here’s the quote from the article. The “extra flows” are those in excess of 25,000 cfs. If you can calculate that, be honest with us now and tell us how much the entire diversion contributed over the full time of its operation and how much it continues to contribute, since it is still in operation. Please project how much more it will add. And don’t give us a wishy-washy “well, it’s hard to say because of the natural flows.” That’s untrue. It’s math. Calculate volume. To put things in perspective, tell us how much each river and the unnatural diversion individually contributed. This is what many people along the lake, as well as those watching from across Manitoba, are wondering. Frankly, we know you made a mistake. You know it. Own up. Give us the facts. 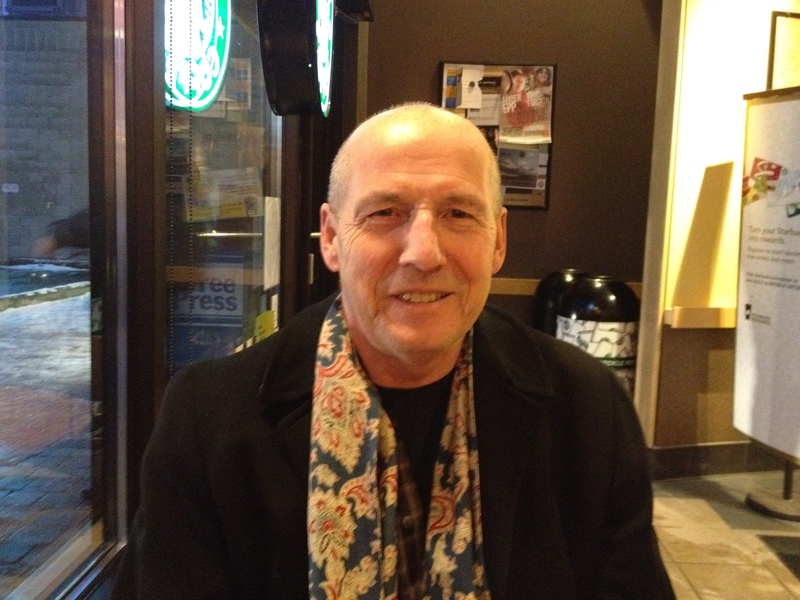 Telling the truth and giving information is the start to healing the people along the lake – though every storm is now going to rip open the wound caused by the use of Lake Manitoba as a storage facility. Lake Manitoba level 812.66 at freeze-up, rose 4 inches to 812.99 at breakup. 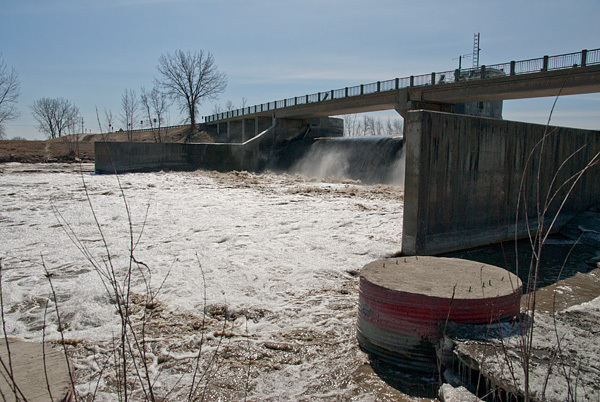 At the end of November last year someone made the decision to keep Lake Manitoba at or above regulated levels over the winter in order to prevent flooding downstream of the Fairford Dam. In retrospect this appears to have been a very poor decision. Volume of water which has flowed down the Portage Diversion between April 6 and June 2 equals 2,355,000 acre-feet. Surface area of Lake Manitoba is approximately 1,152,000 acres. Divide the first number by the second to arrive at the increase in lake levels due to the diversion is 2.04 feet. 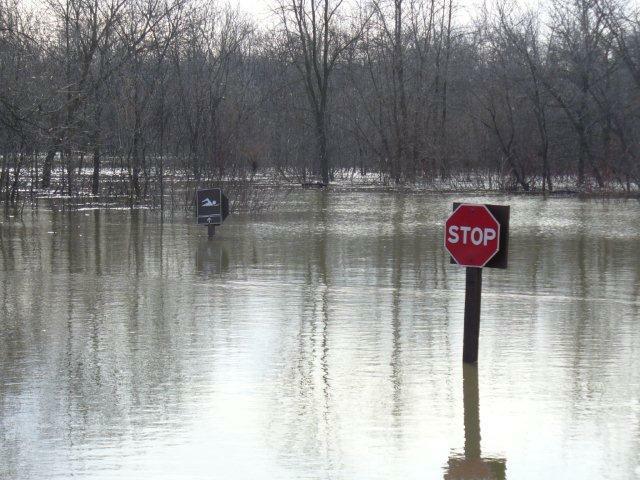 After a week of heavy rain and high winds, we have arrived at phase two of the 2011 “high water event” with new flooding in many parts of the province, new states of emergency and new evacuations. Deloraine, Ochre River RM and Miniota RM have all declared states of emergency due to overland flooding, Brandon and several other RMs have extended their states of emergency, Ste Rose du Lac has closed its ring dike against water from the Turtle River for the first time in 25 years, Brandon just received another three-quarters of an inch of rain in 45 minutes this morning, golf-ball size hail pounded southwestern Manitoba today, dozens of roads are closed due to new washouts, inundations stretch more than a kilometer inland from the shore of Lake Manitoba around St. Laurent, the Souris River is rising quickly and residents around much of Lake Manitoba’s south basin have been evacuated while their homes and cottages are eaten away by the rising water. The surging water and waves swamped dikes, tossed debris and even broke some cottages in half on Tuesday. Sixteen people had to be rescued by boat and one resident had to be pulled out by helicopter. Lake Manitoba is still two weeks away from its crest so many residents around the lake probably won’t be able to return to their properties this summer. 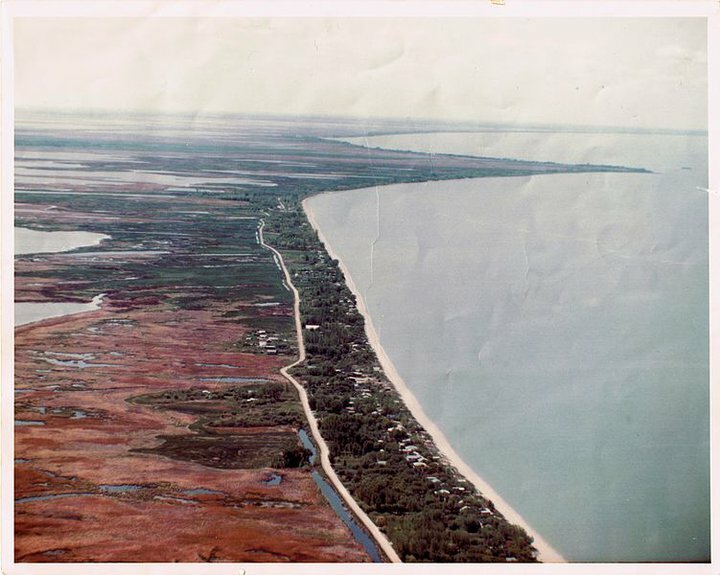 Meanwhile, our head-in-the-sand provincial government still pretends that the Portage Diversion, which today is releasing 16,000 cubic feet of water per second into Lake Manitoba, did not cause this vast lakeshore destruction. 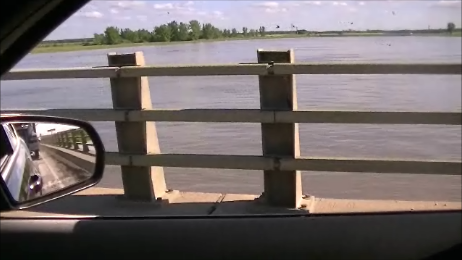 Manitoba Water Stewardship and their “minister” are claiming the natural flows from the Whitemud and Waterhen Rivers are causing the high water levels in Lake Manitoba, thus the flood is due to “natural causes.” The government’s own water flow numbers don’t support this ridiculous claim. The amount of water supplied to the lake by these two streams is small compared to the Diversion’s contribution. In fact, the outflow from Lake Manitoba is about equal to the inflow of both rivers thus cancelling out their effect. Add in the man-made Portage Diversion and you have current conditions. Politicians unable to tell the truth who spend their day covering their asses abound here now. The NDP faces an election this fall so they will go to any length to shift blame but, unlucky for them, there aren’t any other places where the blame can land except on their heads. On that note, let me expound a bit on the events at Hoop and Holler Bend last month. 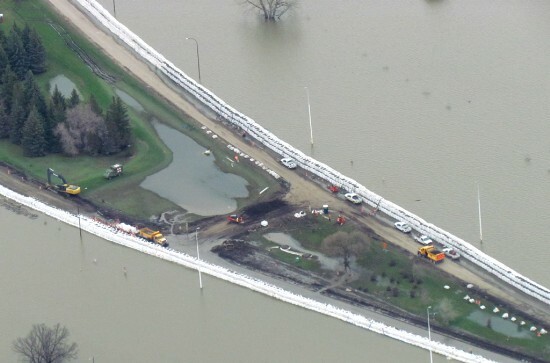 First the opening of the dike was touted as essential to save hundreds of properties between Portage and Winnipeg, then it was demoted to a just-in-case measure and then they closed it after a few days when they realized people had caught on to what it was all about. In retrospect Hoop and Holler was nothing more than a desperate publicity stunt to make Selinger look like he saved the province. 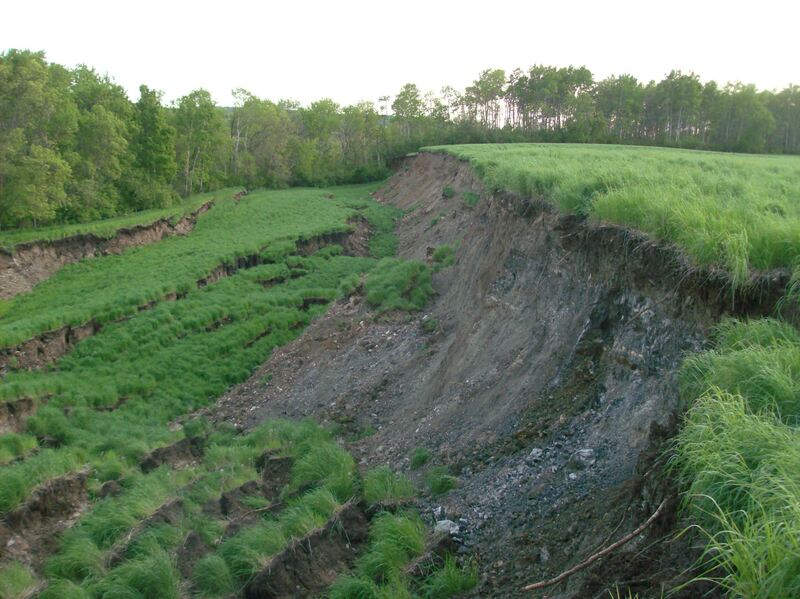 The puny amounts of water that flowed through the cut made an insignificant difference in the Assiniboine’s flow but caused major inconvenience for the affected properties. Part two of the Hoop and Holler plan was the compensation package where the government appears completely benevolent covering 100% of costs. What a great guy Selinger is, eh? The photo op of Charleton Selinger parting the Red River has been put on a back burner, for now. As I write this today in Winnipeg, thunderstorms have been passing overhead with some rain and lots of wind tossing the fully-leafed elms around. The unstable weather is predicted to continue into next week over southern Manitoba. We have entered phase two of our flood and approach the heart of darkness. “Get rid of God and religion and replace it with a government which pretends to deliver redemption with a cheque book; but how does the rational age god guarantee redemption without perpetual motion of the second kind? This is a thing of beauty: subsidize the destruction of nature (soil, water, specie) and then compensate the recipients when their subsidy cannot be collected because big bad old nature huffed and puffed. Yes it is a thing of beauty for the middlepeople who collect taxes, distribute subsidies, and then offer compensation for the inconvenience of failed assumptions while they pay themselves for all of the transactions involved. And we only have to sacrifice with infinite debt to accomplish this thing of beauty.” comment by Eco Bimbo on Free Press story about Manitoba government spewing $175 million around for compensation and more protection from future floods. Meanwhile, for the rubber boots brigades around Lake Manitoba, things just keep getting worse. Two-thirds of the water coming down the Assiniboine for the past two months has been diverted their way and their front yards and basements are full, their riprap rocks swept away, properties flooded and an ominous sense of dread builds when they hear the northwest wind get up. 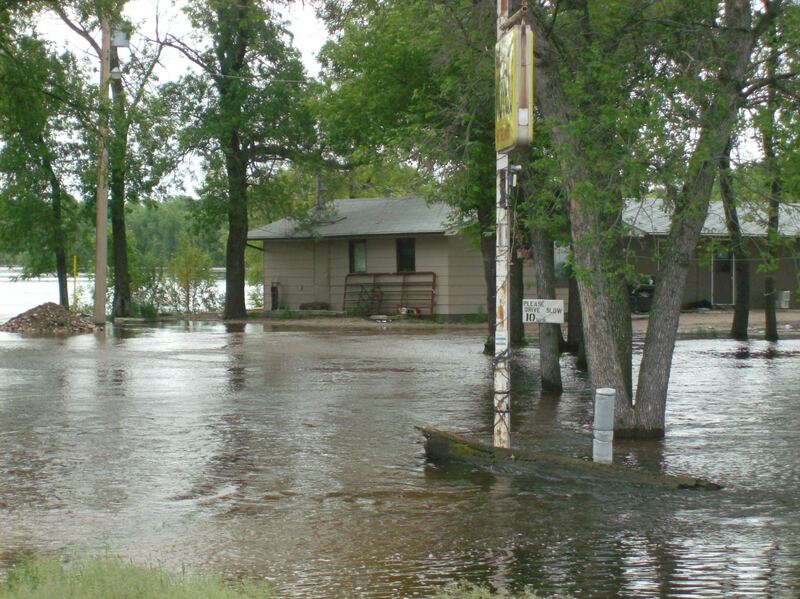 Properties all around Lake Manitoba are flooded including Oak Point, Twin Beaches and Johnson Beach on the east shore. Delta Beach on the south shore has a voluntary evacuation of 30 permanent residences in place tonight. Big winds came blasting in from the northwest yesterday wrecking havoc along the virtually unprotected south shoreline, especially Delta Beach. Many residents are saying they had no warning and no help from the government. Manitoba Water Stewardship claims 100 military personel are in the area assisting and another 100 along the Assiniboine. Where did the other 1500 we had a week ago disappear to? They are needed. This ain’t over yet and somebody should probably tell MWS and the military that, soon. Lake Manitoba outflows via the Fairford River, which is dammed right at the lake. It drains into Lake St. Martin, around which two First Nations are flooded out, then, via Dauphin River into the north basin of Lake Winnipeg then into Hudson Bay. According to today’s Flood Bulletin from MWS, “the Fairford River water control structure continues to operate at full capacity. 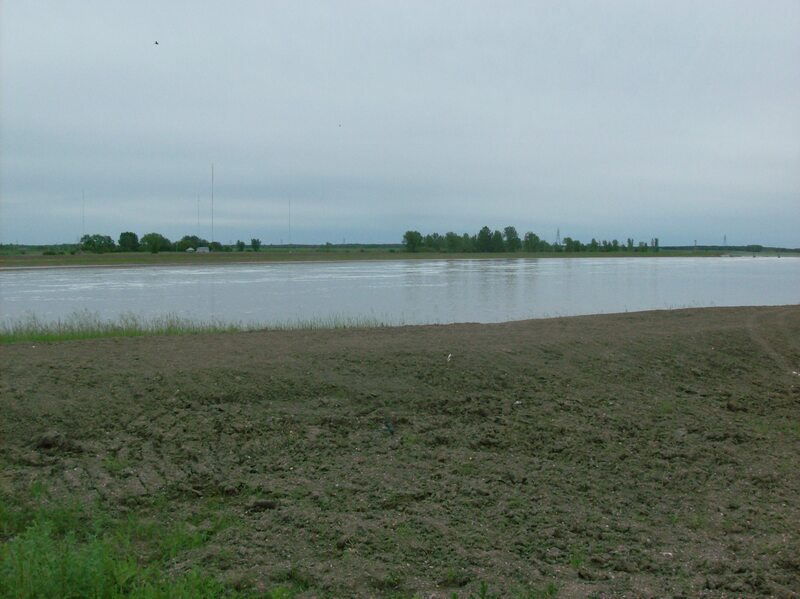 Outflows from Lake Manitoba on the Fairford River and further downstream on the Dauphin River remain high.” So more water is being dumped into the big lake than its outlet can handle thus flooding. No brainer. 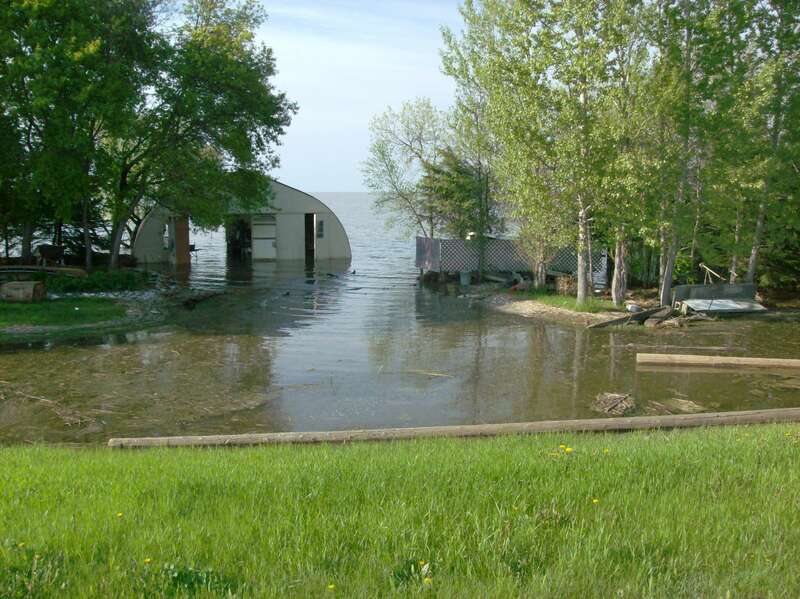 Inundated, St. Ambroise Provincial Park, which juts out into Lake Manitoba, Lundar Beach and Watchorn campgrounds on the lake, will not open this year. Tonight the waters from the weekend storms are surging gravity-driven toward their destiny in wide Hudson Bay and, as the flood moves north, the people in the way take their turn holding their breath. 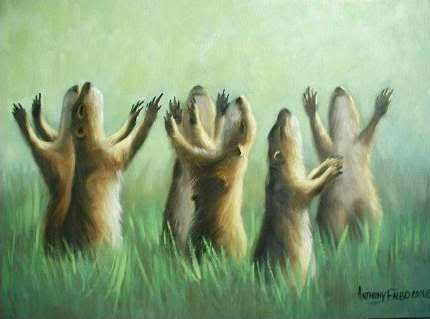 This weekend we are getting what we need least – rain. About 30 to 50 mm is to fall in southern Manitoba and eastern Saskatchewan, the area covered by the Assiniboine watershed. Although water levels are decreasing somewhat – 6 inches in the last 24 hours in Brandon – the dikes, already under great stress, will be tested by this new water. 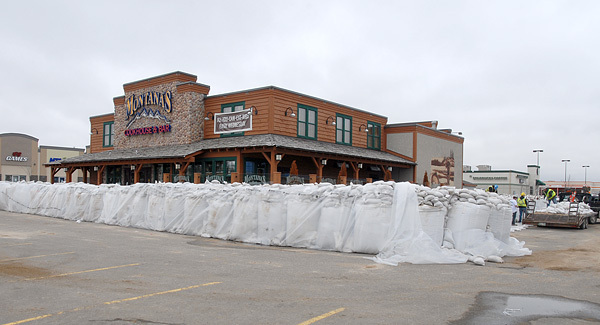 The Corral Centre and Paddock malls in Brandon will reopen Tuesday, May 24, God willing and the creek don’t rise. Further east the cut in the dike at Hoop and Holler Bend was closed and Selinger Lake is slowly draining away without giving us any real clues on what’s it purpose actually was. The spin on the intentional flooding changes daily and has gone from being the saviour of the province to having a gee, maybe, we don’t need this aspect. I’m keen to see what they’ve come up with today in the latest bulletin from Manitoba Water Stewardship out later. Yesterday the Portage Diversion was filled to the brim with water almost reaching both the bridges on the TCH that span the Diversion. 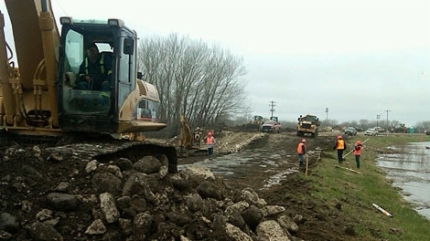 Work was continuing raising and shoring up the dikes. 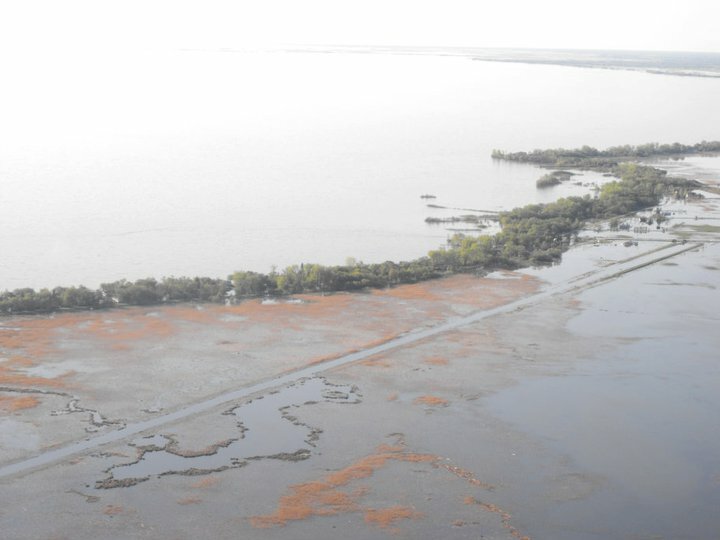 Lake Manitoba, the recipient of the Diversion water, is experiencing flooding along its shores with people scrambling to save their properties. 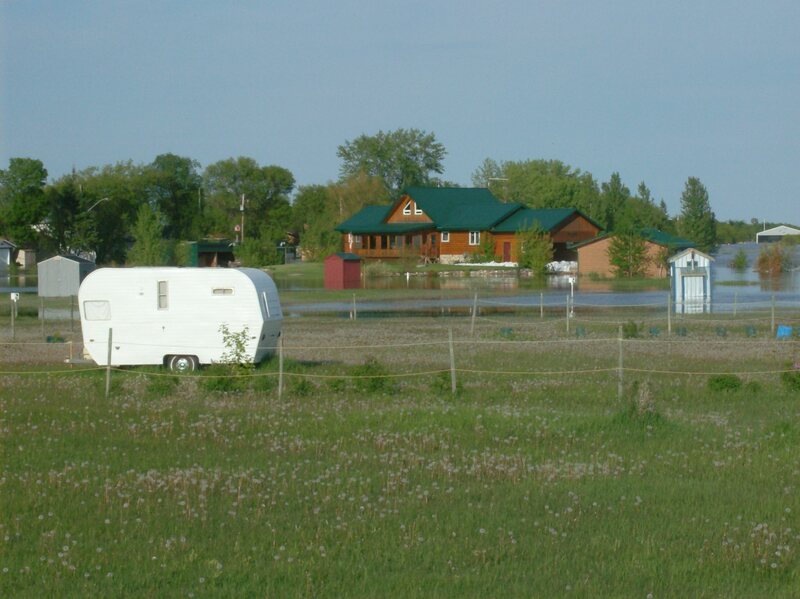 Dauphin Lake is spilling over farmland and cottage areas. While there are signs of improvement and officials appear a little more relaxed, vigilance is being maintained. The wild card is this weekend’s rain – how much, where and will the dikes hold? Stay tuned. 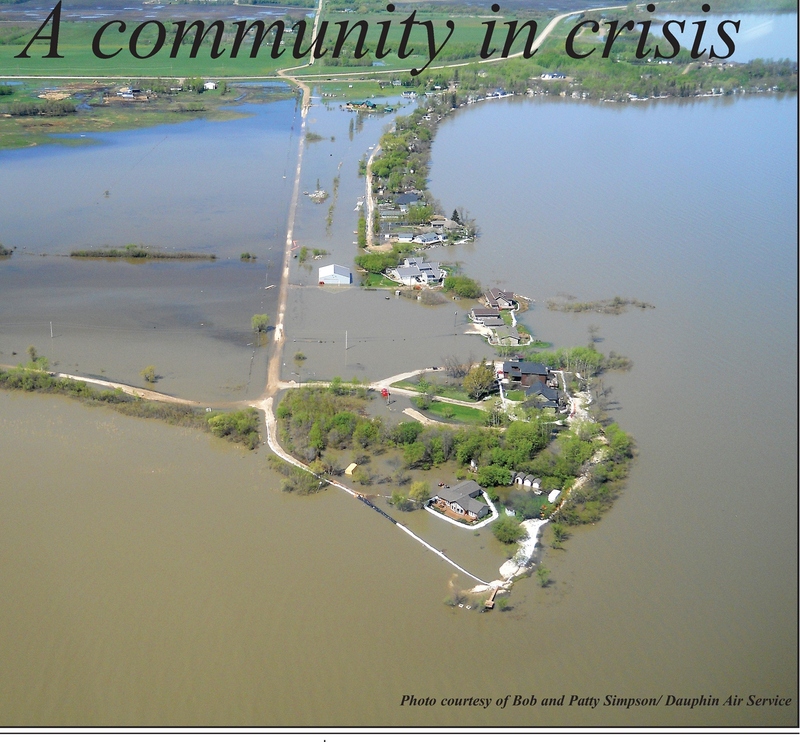 This is one of my favourite pictures of the thousands taken of Manitoba`s “high water event” as our flood is euphemistically known among disaster bureaucrats. The picture was taken in the Corral Centre shopping mall in Brandon, now closed and virtually deserted for over a week. 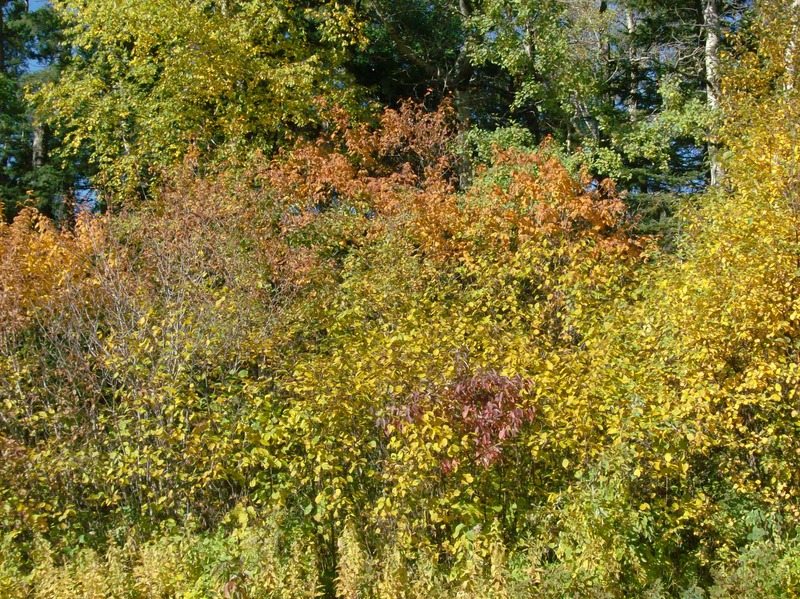 How hopeful to see it still doesn`t take long for Nature to begin reclaiming the results of our folly. The Assiniboine dropped 10 inches at Brandon since this time yesterday prompting guarded optimism among local flood officials. 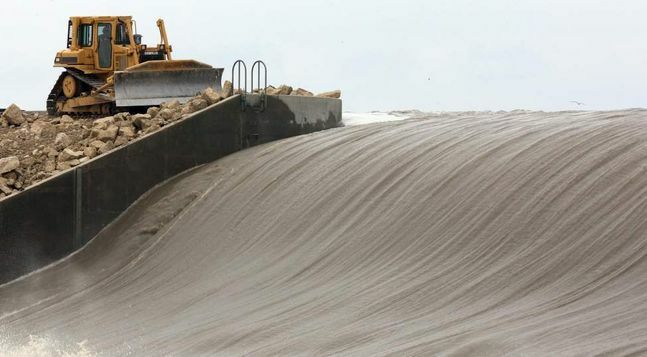 In some places in east Brandon, the aqua dams are being removed from the tops of the dikes as water levels subside. The freeboard is now unnecessary. The 1400 Brandon evacuees and the 120 local businesses, closed due to flood risk, will be waiting, at least, into June to return to normal. One north-bound lane of First Street has been reopened through the flood plain. Downstream the Portage Diversion still carries an enormous amount of water from the Assiniboine north into Lake Manitoba. Since the Diversion has been diked and re-diked over the past few weeks in order to carry greater flow, in fact burdened with water levels it was never designed to accommodate, the dikes are now beginning to deteriorate. Tonight Manitoba Water Stewardship is deeply concerned about the integrity of the Diversion dikes and potential for widespread flooding along its route to Lake Manitoba. 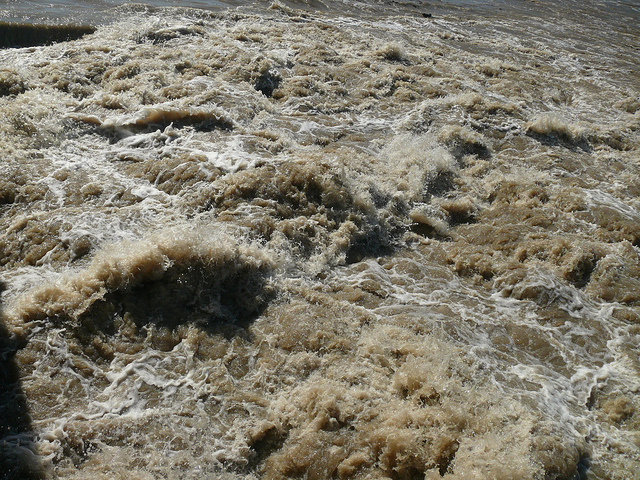 Meanwhile, predictably, residents along the Lake Manitoba shore are feeling the brunt of all this new water from the Assiniboine and scrambling to evacuate or sandbag their properties. 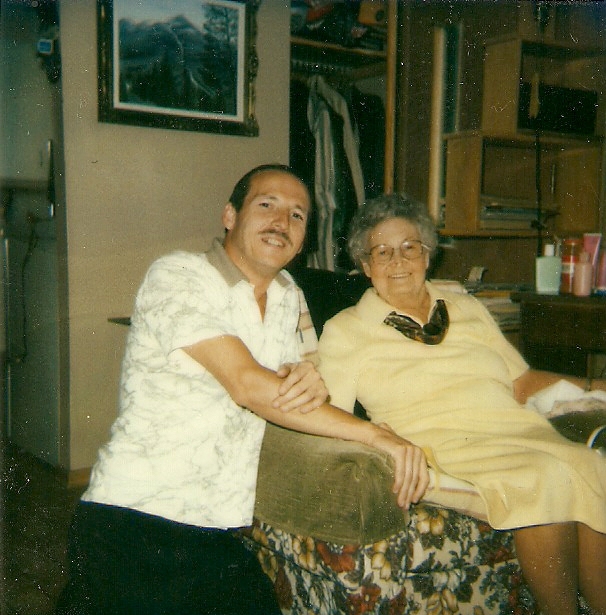 This picture is of Peter Bradley in his front yard at Twin Beach on the Lake Manitoba shore. Beyond Portage the intentional flooding from a cut in the dike at Hoop and Holler Bend is now being spun as a just-in-case scenario, trying to justify the miniscule flows which haven`t gone above 400 cfs (cubic feet per second), a piddly amount in the Assiniboine`s massive volume. 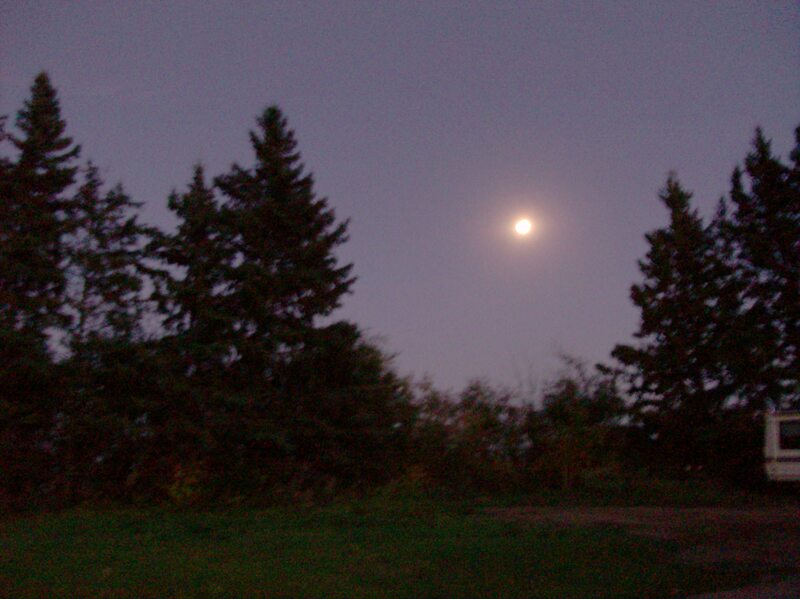 Selinger Lake continues to creep across the land aimlessly searching for some real purpose, some suggestion of reason. Maybe when it communes with Elm River and the La Salle River then seeks the wisdom of the mighty Red River, perhaps by then the piddles from Hoop and Holler Bend will finally find enlightenment. We are chasing the water north, getting it into Hudson Bay as quick as we can. We are in control. What a delicious delusion that public officials conjure for a gullible populace! Brandon is holding its breath tonight. 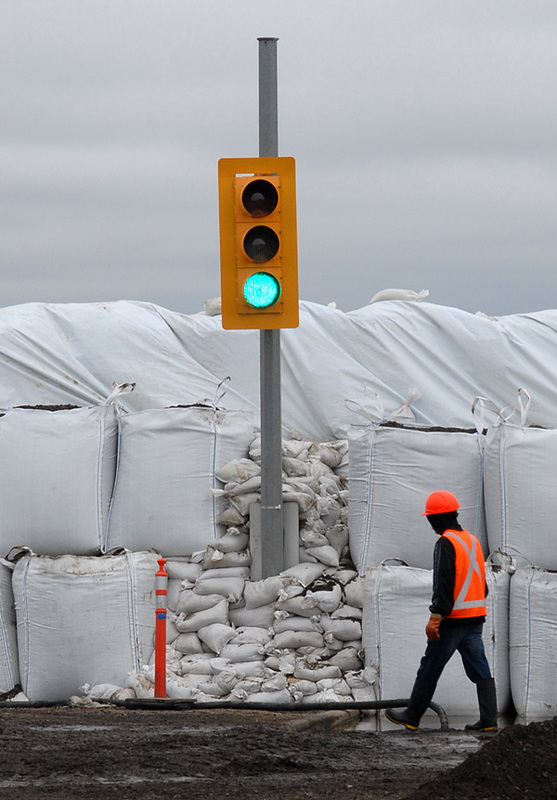 The crest of the Assiniboine reached the Wheat City today and will maintain high water levels there for at least three days before any reduction begins. Thereafter it will take weeks, possibly months for the water to subside followed by massive clean ups. Brandon`s elaborate and constantly maintained dike system is still in good shape with about 20 small breaches in the past day. All were repaired. Residents north of the river in the valley remain on alert, listening for emergency evacuation sirens. Brandon`s mayor Shari Decter Hirst and councillors, who today extended the local state of emergency for two more weeks, visited with evacuees in various hotels around the city where about 700 are lodged. The other 700 or so are staying with family and friends. Free entertainment, child-minding, laundry and psychological support are being offered to evacuees by Brandon city services. 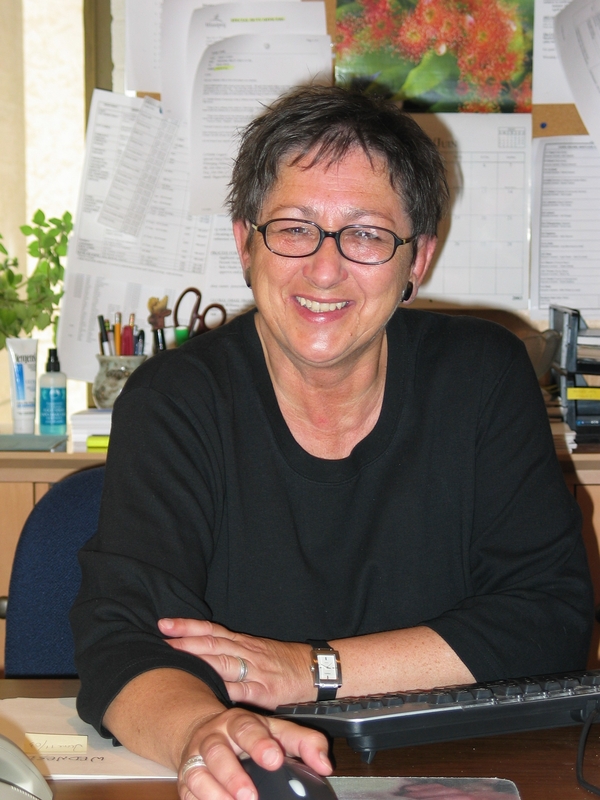 Mayor Decter Hirst, who had an enormous number of nay-sayers against her when she was elected last fall, is being viewed as a caring, conscientious and sincere public servant who knows what to do. Her personal charm and fresh savvy are a lucky break for Brandon. 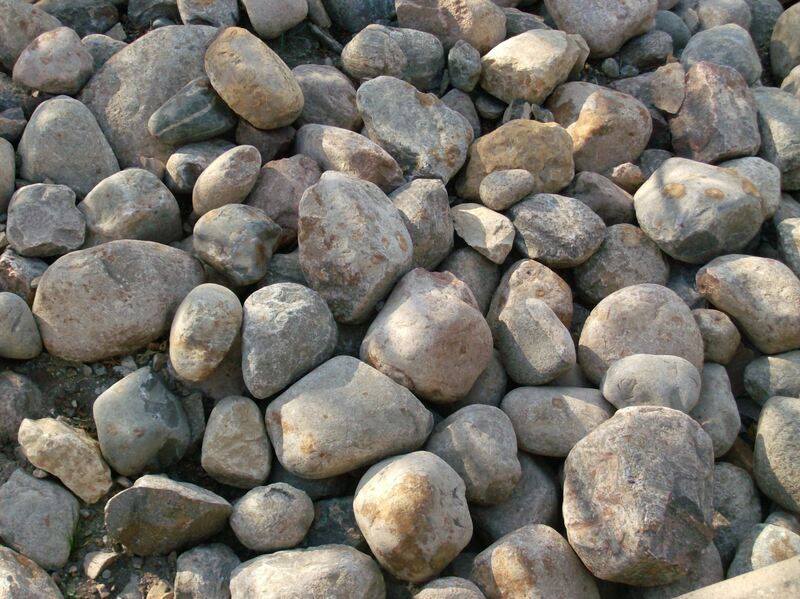 Reports downstream from the Shellmouth Dam support the notion the Assiniboine has crested once and for all. The situation remains precarious with any new precipitation a serious threat. No rain is forecast for the river`s basin and headwaters for the rest of this week and no new water is expected to enter the river. West of Portage, the newly heightened Diversion is carrying enormous amounts of water into Lake Manitoba. 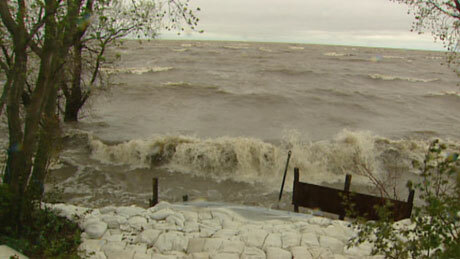 Shore residents are bracing for the flood that follows increased water levels in the big lake. 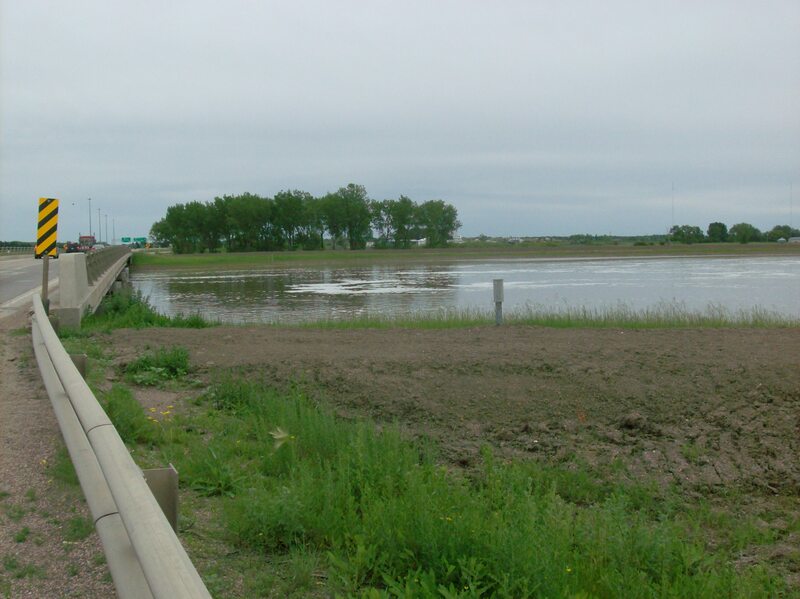 Selinger Lake continues its spread across farmland and gravel roads east of Portage tonight, the first waters of the drain now reaching Elm River, eventually entering the Red River past the Floodway entrance. This thin film of septic/chemical soup hasn`t washed away any buildings and the military keeps an eye on the leading edge of the water. You can walk faster than the spread of the intentional flood waters. One tidbit of information conveniently misplaced is the reason why a mere 400 cfs (cubic feet per second) of water flowing through the Hoop and Holler Bend breach makes anything other than a negligible difference in the Assiniboine River which is, by the estimates of Manitoba Water Stewardship, flowing at about 32,000 cfs. The flow through the intentional cut seems small, a drop in a very large bucket. 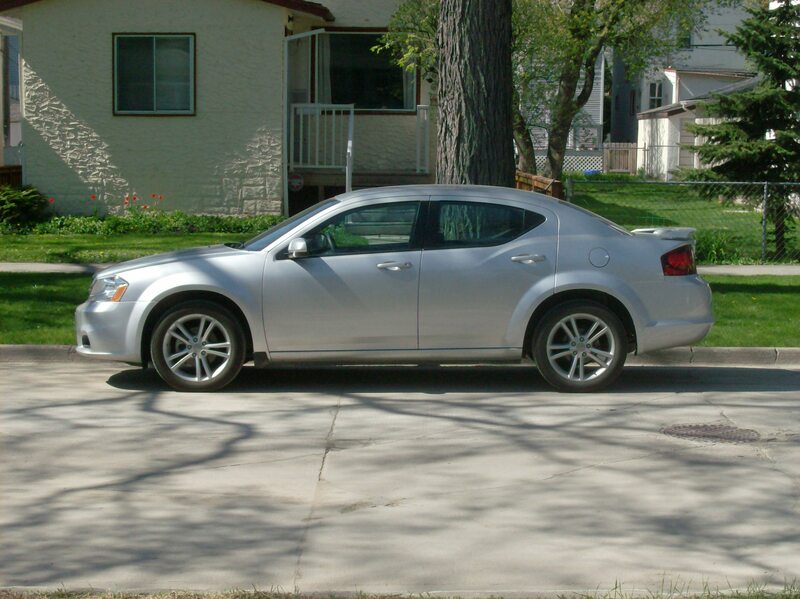 Maybe this is all just optics with the political bottom line: Winnipeg is still safe tonight. The Trans Canada Highway remains open at Grand Valley with no road flooding reported. 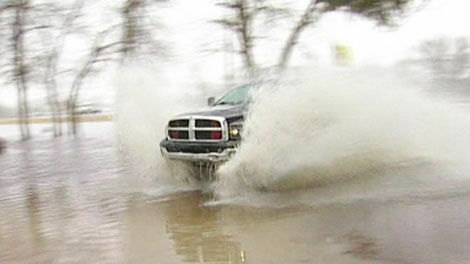 There are 113 provincial roads affected by flooding, with 67 closed. Approximately 768 municipal roads are closed. Here is the map of road conditions and closures in Manitoba. My next report will be Tuesday evening. 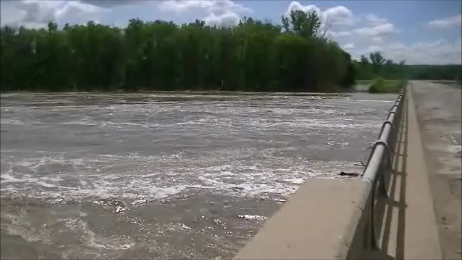 The Assiniboine River runs through Spruce Woods Provincial Park and not only has its flooding closed the park indefinitely, Highway #5 which runs through the park is closed between Glenboro and Carberry. Water is over the road and some of the highway is washed out. The lower areas of the Spirit Sands and Marsh Lake are water covered and there is more on the way. 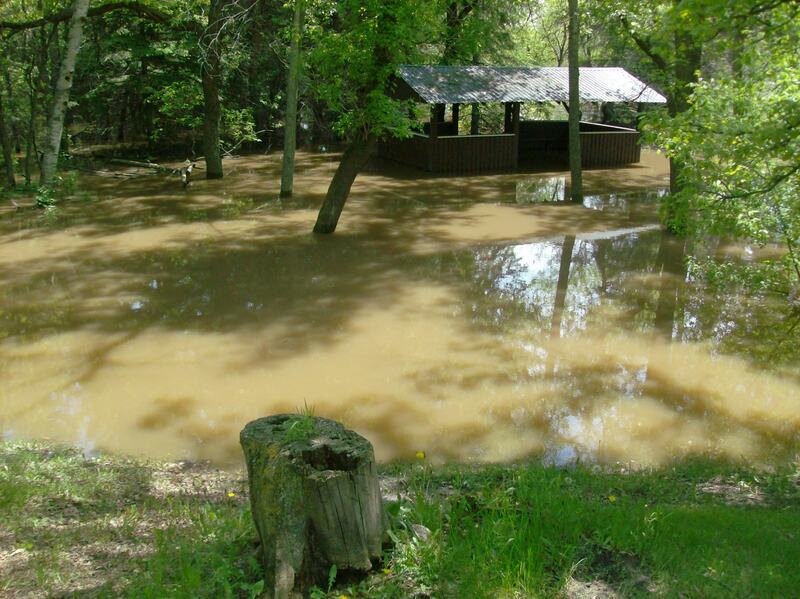 The lower campground at Kiche Manitou campground in Spruce Woods Park is under several feet of water and all buildings have been severely damaged. Yurts are on high ground and unaffected by flooding. 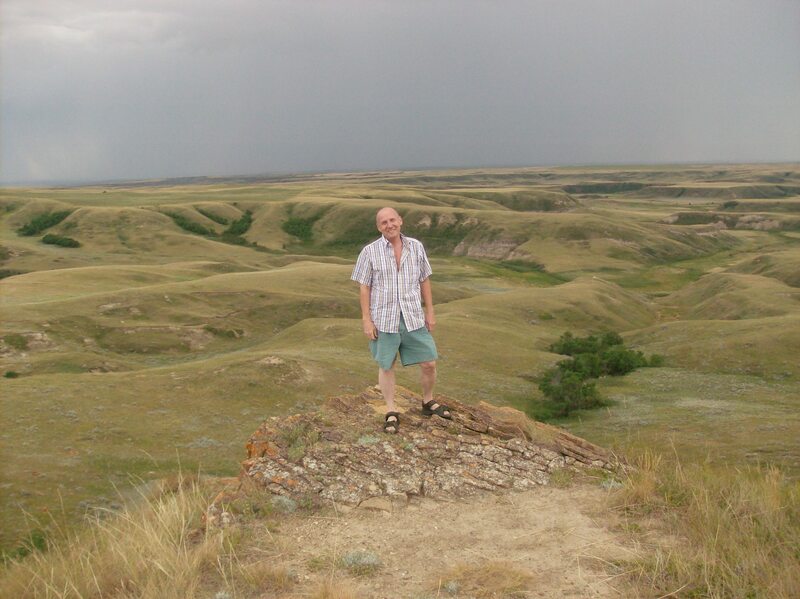 Manitoba Conservation is hoping to re-open the park to camping in the lower campground by the end of July! That’s right, the end of July! Some aspects of the park are expected to open in mid-June but there is an enormous amount of water to move first. 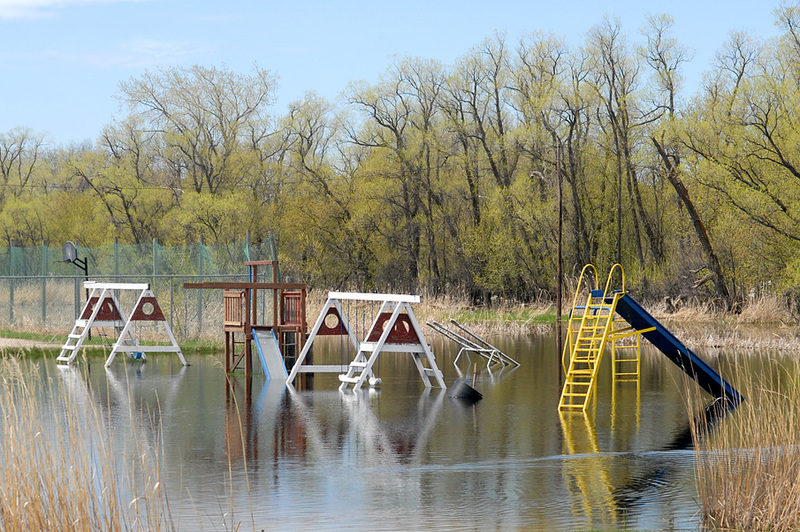 Many provincial parks are affected by flooding. Check here for updates on campground closures and delayed openings. In Brandon, the dikes are under heavy maintenance, another foot is being added to most of the dikes as water flows are expected to increase. Saskatchewan has had heavy rains and the Qu’Appelle River, which drains into the Assiniboine at St. Lazare, MB, is swollen. Everything downstream from there is under flood watch. The final stores have closed in the Corral Centre and Paddock. 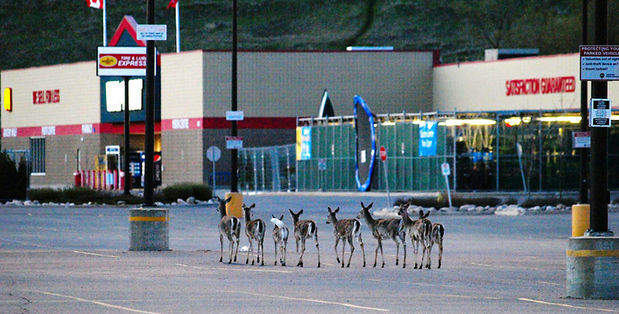 The last evacuees are expected to be gone by this evening and the city waits. The crest, once thought imminent, is now predicted for the middle of next week. 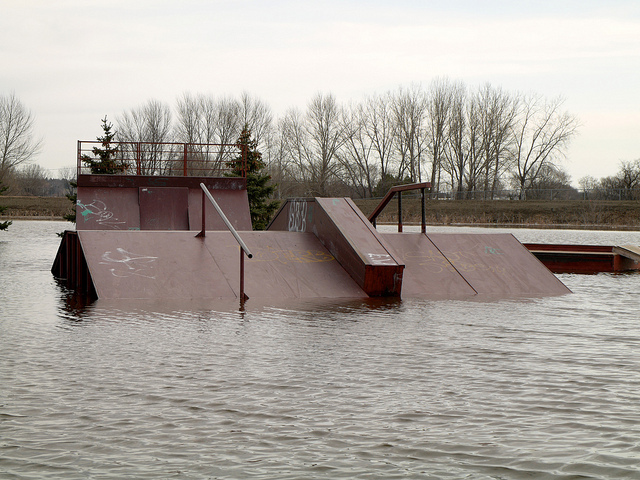 The Saskatchewan rains and subsequent surges are making crest predictions extremely difficult. One certainty from Manitoba Water Stewardship is to expect higher than predicted crest levels along the Assiniboine. 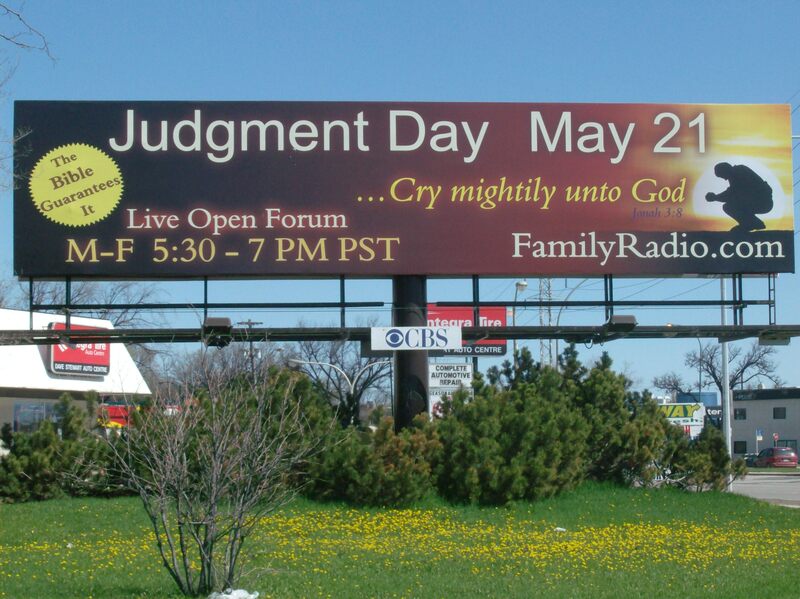 This announcement resulted in the new endeavours to raise Brandon`s dikes by at least a foot. At Portage the military is working to raise the Portage Diversion to move more river water into Lake Manitoba to the north. Tonight there is more water in the Portage Diversion than in the Red River Floodway around Winnipeg! The Trans Canada Highway remains open today through Grand Valley west of Brandon where the ditches are being re-enforced with stones. Structurally the two bridges that span the river at Grand Valley are sound and uncompromised by the rising river. The proposed “controlled” breach at Hoop and Holler Bend has been delayed again, now scheduled for early Saturday. There are 122 provincial roads affected by flooding, 73 closed. There are approximately 750 municipal roads closed. 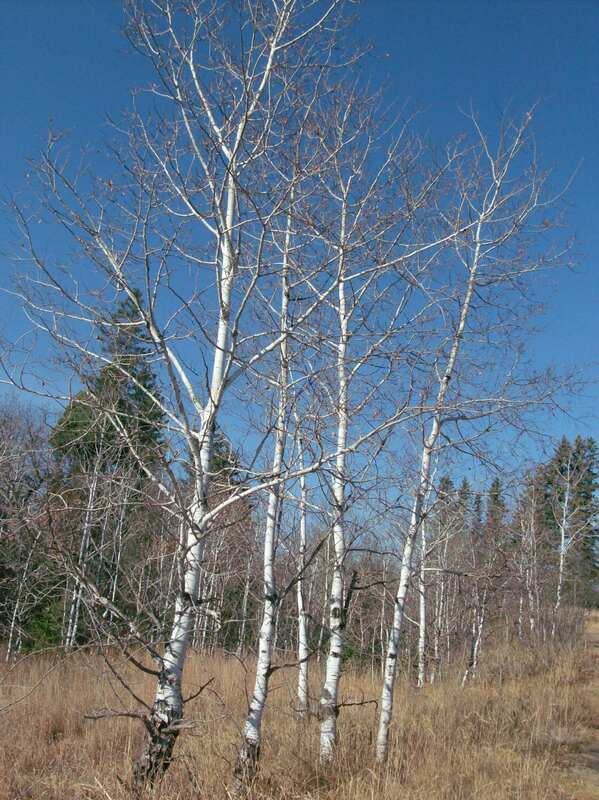 Though Brandon is predicted to get a little wet snow tonight, the forecast for the Assiniboine region including its headwaters in Saskatchewan is for clear sunny days ahead with no precipitation for a week. That would help immensely! 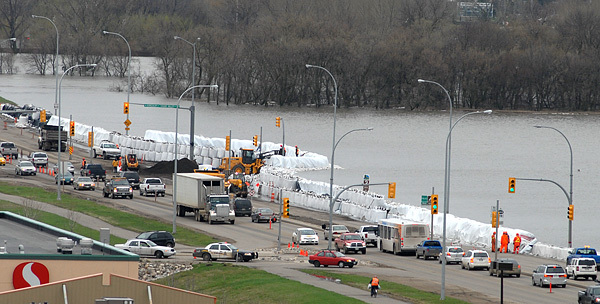 The Assiniboine River continues to threaten cities, towns and farmland in Manitoba today. The river level at Brandon increased about 3 inches overnight and forecasters estimate the crest of the flow is near. Though the rain has stopped, the weather is quite windy, not ideal. Some good news this morning: no further rain is expected in Brandon for the rest of the week although rain is predicted further north. So far, over 1200 residents have been evacuated south of the river but people on the north side still remain in their homes. 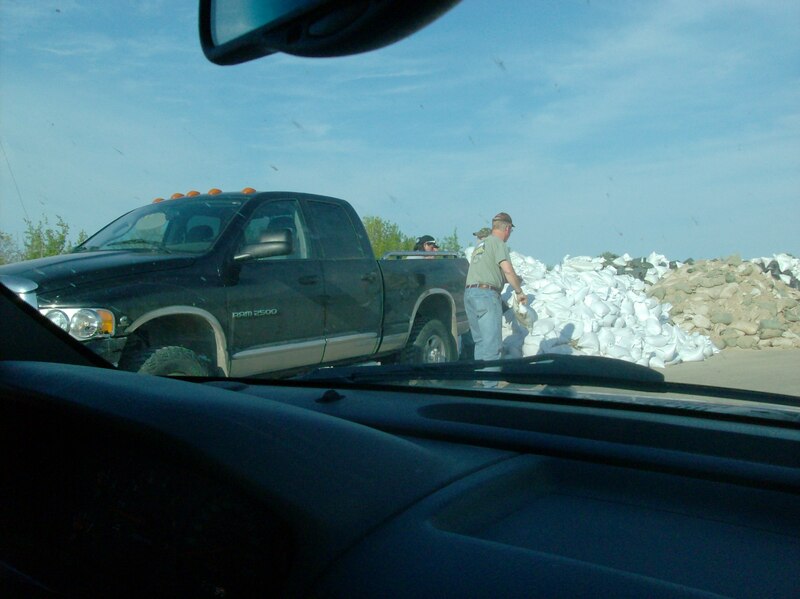 According to Brandon flood officials at their morning briefing, nearly all the sandbagging and diking is done. They now are in a state of maintenance, watching for seepage and breaches. The Brandon bypass – Hwy 110 – may be opened to piloted heavy commercial vehicles only today; First Street remains closed but Operations is hopeful it may reopen on the weekend; all lanes of 18th Street may open to traffic today. This sounds promising but the Assiniboine may have other plans. Brandon’s mayor, Shari Decter Hirst, stated that, though everything looks calm and under control, the city is in the eye of the storm now, waiting to see what the river will do next. She emphasized that it’s not over yet so don’t get complacent. “We don’t need tourists,” the mayor said. “Don’t come to Brandon to gawk at our hardship. We don’t need anyone doing that. Brandon is in a state of emergency. 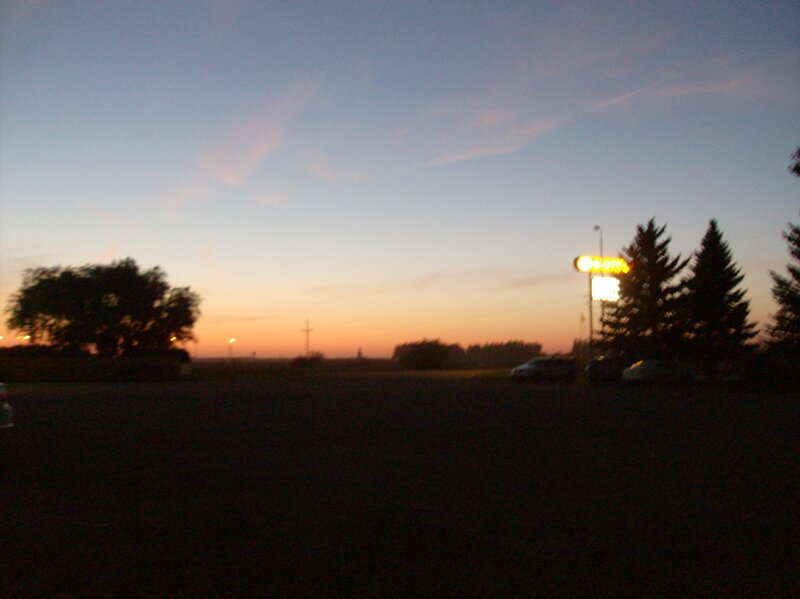 Respect that.” Since most of the evacuees are lodged in Brandon hotels, there are no rooms available to stay in anyway. The Corral Centre remains closed. The mayor again commended the “everyday heroes” who have worked to save the city. Manitoba Water Stewardship announced today the “controlled” release of river water just east of Portage la Prairie is scheduled for Thursday morning at 8 a.m. The intent is to drain some of the Assiniboine into the La Salle River watershed so it will empty into the Red River south of the floodway. Residents of the 150 mostly farm homes affected by the release are evacuating today while military personnel build dikes around their properties. The “controlled” release is preferable to an uncontrolled release which would have unpredictable results. I don’t know how big a gamble this release actually is for the government or how firm their predictability is but I am compelled to reprint poet Gary Snyder’s caution: “It is not nature-as-chaos which threatens us but the State’s presumption that it has created order.” Here is a map of the area to be intentionally flooded. 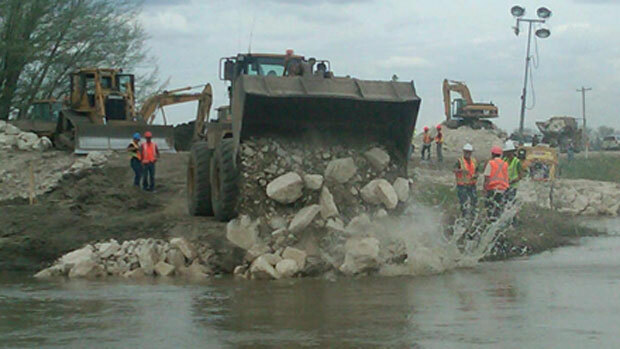 The Portage Diversion, which diverts Assiniboine water northward to Lake Manitoba, is being re-enforced, its banks heightened to accommodate greater capacity. Homes along the Diversion are on flood evacuation alert. 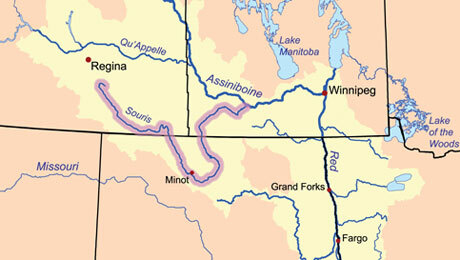 The Red River still cuts a wide swath across southern Manitoba. 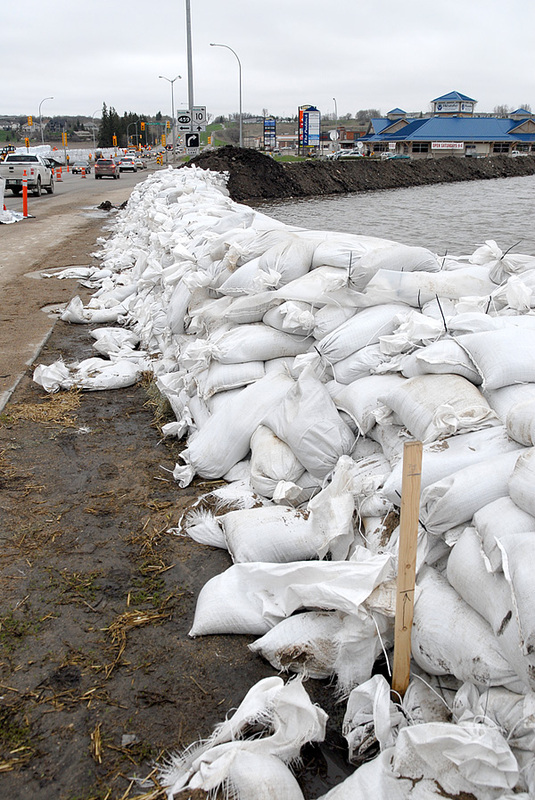 The Floodway is adequately protecting Winnipeg again as water levels decrease slightly. 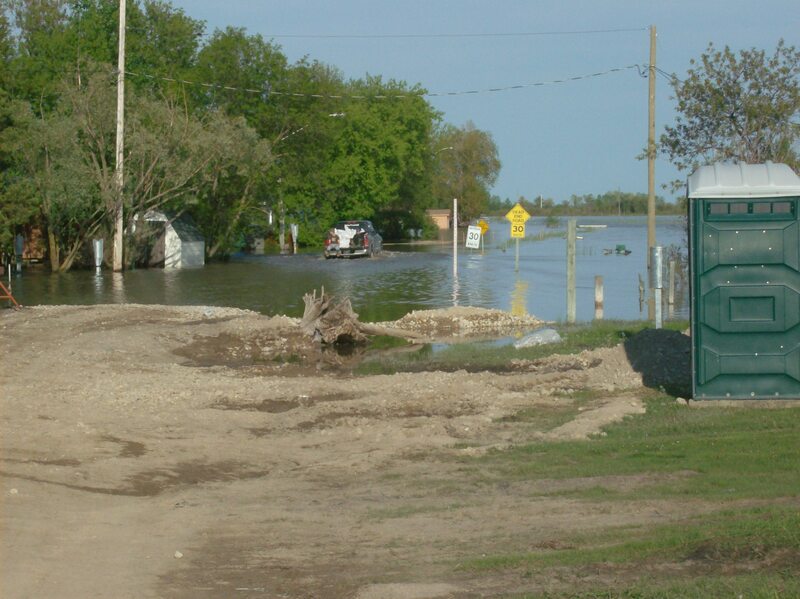 The Souris River is causing havoc in Melita with levels increasing due to excessive rain this week. Dauphin Lake is at flood stage with heavy precipitation expected there today and tomorrow adding to the woes of cottagers and farmers. 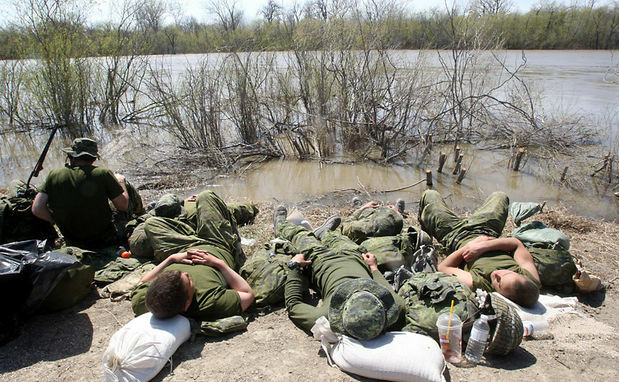 Over 600 military personnel are working at various sites along the Assiniboine. The province has requested 300 more. The waiting is underway big time now in Brandon and communities all along the Assiniboine flood plain. When will the crest arrive? Are we protected? Stay tuned for the answers to those and other watery questions. My next report comes late Wednesday evening. Provincial government flood information here. The Assiniboine River still continues to threaten communities along its path although the water level at Brandon was unchanged overnight. Showers and rain coming in from Saskatchewan will give the Assiniboine River basin over 20 mm of water by the weekend, adding to the unpredictability of the river. At this morning’s media briefing by Brandon flood offficials there were twice as many media people as there were yesterday, denoting the flood’s increasing significance. The briefing confirmed that earth-moving diking will be done by this evening and exisiting dikes will be topped with aqua dams. Evacuations in Brandon stand at about 1000 people. No further evacuations are planned for today. Hazardous materials, such as gasoline at filling stations, in the risk zone have been secured or moved. Brandon awaits its fate. 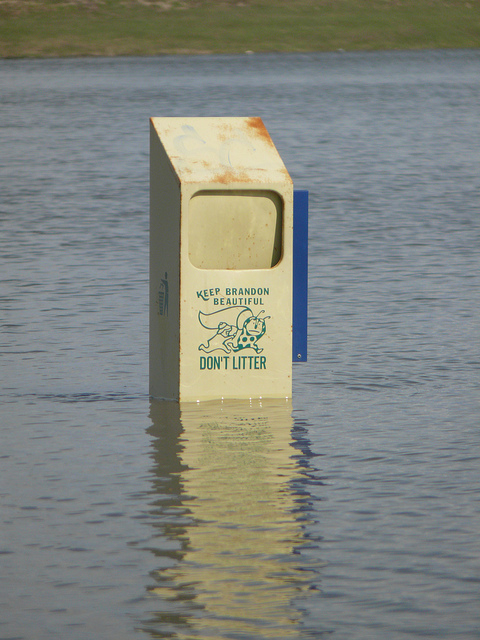 Manitoba Water Stewardship publishes a daily flood bulletin. Here is today’s. The next briefing from Brandon officials is at 4 this afternoon. More from me thereafter. My heart goes out to those living in Brandon, Portage and the surrounding area. Stress and uncertainty must be overwhelming for many. Know you are in our hearts and prayers. Be brave, be strong.